In assessing the messages of a product or brand, I find myself observing the nuances through the lens of a professional roadway and signalization engineer. The crux of my job boils down to making sure that clear signals are given to drivers and pedestrians to avoid confusion. As someone who manages the message of my professional business, as well, last month I noticed a curious series of events related to the Star Wars Expanded Universe that highlighted how, at times, the messages being sent to the fans are at cross-purposes. In some part, this lack of coordination may have been due to the void left after Sue Rostoni’s retirement. Regardless, it’s an interesting illustration of the mixed messages that can leave fans wondering what the creative parties believe about the fictional universe they’re weaving together. Last month while I was at Geek Girl Con, Fan Days took place down in Texas. Thanks to the wonders of YouTube, I was able to watch many of the Fan Days panels later. The first one I watched was the video of Aaron Allston and Timothy Zahn, two of the best-known and best-selling Star Wars authors. Laugh out loud funny and invariably insightful, they are always a blast to listen to – and they are also great ambassadors for the EU. Interestingly enough, the topic of time travel came up in their panel. That wasn’t a surprise, since Star Wars Insider had just published, in Issue 128, Zahn’s article discussing the five worst plot devices in fiction, with time travel appearing at number 5. It’s always made sense to me that time travel wasn’t part of the Star Wars EU; the GFFA has visions and holocrons and many other means of moving information up and down the timeline without moving the characters themselves. The scientific mind that I am, I also tend to think more like Zahn, who has degrees in physics, and the potential logical pitfalls of time travel are enormous. Allston joined in Zahn’s criticism of using time travel in stories, including a reluctant discussion of the reasons why he disliked the somewhat similar Force power of flow-walking that had appeared in the Legacy of the Force series. (To their credit, the authors found amusement in the irony that they had both written for the Terminator franchise, but maybe that’s also part of why they are painfully aware of the pitfalls.) So two of the EU’s big dogs, the writers many fans generally connect with, were sharply criticizing time travel because it creates too many problems. 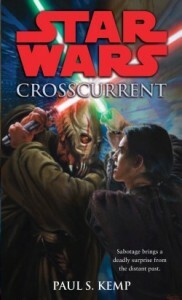 Yet oddly enough, the next book on the release schedule after the Insider’s publication and Fan Days happened to be Riptide by Paul Kemp, the sequel to Crosscurrent, in which the whole plot is premised on time travel by a starship and its crew from five thousand years in the past into the era of Luke Skywalker’s Jedi Order. Talk about mixed messages. Is time travel a potential source of trouble in the EU, or is it something we’re going to see more of? If you’re a fan who likes the thinking and style of Zahn and Allston, would that make you less inclined to buy a book based on a time travel premise, or its sequel? Another interesting problem with the storyline moving people and technology five thousand years into the future is the lack of significant differences in the two time periods. The technology is basically the same, and the characters can easily converse with each other without any apparent need for translations droids or devices. I understand why the ancient-history eras are used, especially for the videogames – they are open canvases to allow fans to have fun and make a difference in the outcome of the story without bumping into movie-era canon. Star Wars author and The Old Republic game designer Drew Karpyshyn noted in a recent interview that the apparent canon explanation of such similar technology is that science in the Star Wars galaxy reached a plateau in advancement, so that technological progress had basically stagnated across the four to five thousand years between Knights of the Old Republic or Lost Tribe of the Sith and A New Hope or Crosscurrent. The engineer in me simply finds that explanation to be completely implausible. Considering that science fiction is often geared towards the geeky types, I suspect other scientifically wired minds would reject that hand-wave, as well. Star Wars is space opera, though, and it has its fantastical elements (including, of course, the Force). So I guess we can chalk it up as a conceit of the Star Wars story, and we’ll just have to suspend our disbelief and move on. Kemp’s books also highlight another problem with the messages coming out of the EU lately. Riptide, at least, has some female characters in the Dramatis Personae; Crosscurrent had none. 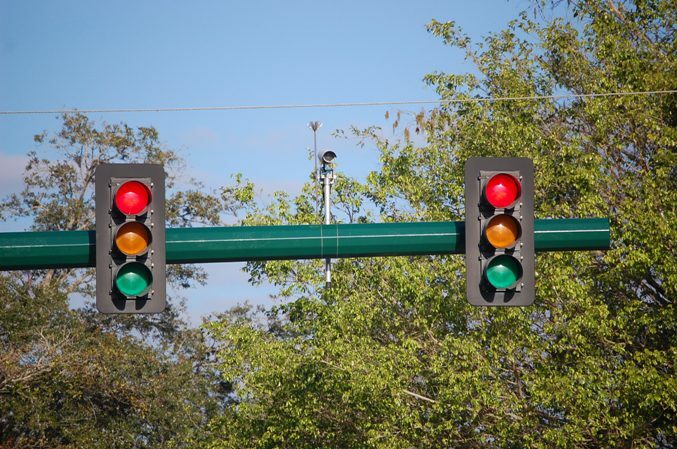 From the perspective of a transportation engineer, if you put up too many red lights or stop signs on one street, people start using other routes. In my mind, that’s what the current slate of male-dominated EU books have been: a series of red lights and stop signs to the female fans. Perhaps there was a reason Crosscurrent was cast as it was, but for me, the Dramatis Personae came off as a big flashing warning sign like the ones you see that say “DANGEROUS CURVE AHEAD.” Like a driver, I covered the brake and proceeded cautiously, but in the end I felt that the entire book was exactly the man’s world that the Dramatis Personae suggested it would be. It’s not shocking, then, that the feedback and discussion on Crosscurrent and Riptide on message boards is mostly from men. The book effectively cut off half its potential audience before it ever got started. A book with a Dramatis Personae focused on one gender might work in limited situations for limited purposes, but otherwise it just sends the wrong message to potential customers. Just like when I design signing or striping for an intersection, I have to consider the holistic effect of my design, even at the subconscious level, on the enduser. The Powers That Be need to make sure that they’re looking at all the relevant signals coming from the fan side, as well. 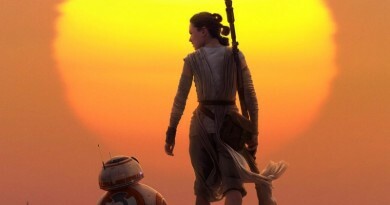 I discussed this briefly in my summary of the Star Wars EU panel at Geek Girl Con. Yes, a lot of fans like to cosplay the bad guys or like to play the villains in the video games – but the market for EU novels is different. Are Sith, anti-heroes, and morally compromised “good guys” really what potential, lapsed, and existing EU fans want to read about? What people aren’t cosplaying or who isn’t responding on message boards says as much about a franchise as what is cosplayed and who does respond on message boards. For some fans, the books haven’t been heroic enough or balanced enough. 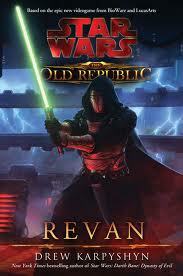 In blogging about the early fan response to his book Revan, Karpyshyn criticized fans for complaining about what the book “isn’t” instead of accepting it for what it “is” as a story. Unfortunately, like too many other EU authors in recent years, Karphyshyn seems to have forgotten the number one rule of doing business: it’s not about you, it’s about the client (or the customer). This is an important tenet for corporations providing infrastructure – the things we can’t do without like roads, bridges, and buildings – and it certainly has to be applied to the thinking of a business providing a commodity that feeds individuals whims when spare income is available. The moment an EU author starts writing the story he wants to tell, instead of the story the fans want to read, everyone is one step further down the path of market decline and lost sales. What a book “isn’t” absolutely makes a valid complaint from paying customers with expectations built up from prior stories in the franchise – and while I haven’t read Revan nor played the original Knights of the Old Republic videogames to have an informed opinion on the merits, I see a lot of the same elements of fan disappointment in the reviews of Revan as I’ve heard from the many fans I’ve watched walk away from the EU for what the books failed to be. Of course, I fully understand that you can’t please everyone, and that sometimes the fans don’t have the best suggestions for the directions particular stories or characters should take – but it’s faulty logic to use those difficulties as an excuse to jettison the expectations and preferences of the fanbase as a whole when considering which stories to write and where to take the characters. The question all the EU authors need to ask themselves are these: Am I serving the franchise (Client 1) and fans (Client 2) to the best of my ability? Am I open enough to what connects a broad range of readers to Star Wars as a brand? Another common fan complaint seen online is that a book was too short. That one has been circulating for Revan and has also been mentioned about Riptide and almost all of the Fate of the Jedi books. The standard response from the authors is invariably, “the story is as long as it needs to be.” Maybe so in the abstract, but this has been a long-standing complaint for years on end. Pull out the EU books from 2002 and 2003 or so and stack them up next to an equivalent number of books from 2010 and 2011. It’s interesting what you’ll see. How about extracting the deeper message: maybe readers want epic, meaty stories. So why not give it to them? The point isn’t to run the story around the block a few more times just to get the page count up – it’s to design bigger, broader, more epic stories in the first place. The general consensus is that Star Wars fans aren’t stupid, so some are going to perceive the shortening of the stories as feeding the corporate bottom-line. Whether there’s truth in that is a matter of debate. Or maybe the books feel too short because there’s just not enough of what the readers want? Part of the problem with reading the signals from the fans as a whole may come from the fact that fans know what they like but sometimes they can’t put a finger on what makes one story better than the next. For instance, the Imperial Commando book that was cancelled still comes up quite often in discussion. Yes, some fans do want to see those specific characters and the closure to their storyline. But what many other fans miss isn’t so much their particular tale as the kind of story told about them: one about friends and squadmates, mentors and camaraderie, and struggling together to survive against great odds. 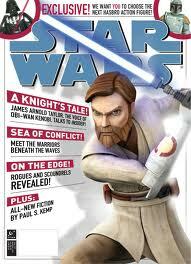 Even if no sequel book will ever tie up the former, certainly the Star Wars EU can release more stories with the latter. Often, I believe, the underlying reasons for fan likes and dislikes have been misinterpreted, and perhaps that’s why we’ve ended up with so many villains, anti-heroes, and troubled Jedi. I’m still not convinced those type of books are as compelling as some in the industry would like to believe, and I don’t think it aligns with what most people need from their escapism in this day and age. This month’s Insider, Issue 129, includes an article by Dan Wallace about the appeal of fringe characters. As I was reading, I kept thinking – appealing to whom? I got the sense that Star Wars was trying to convince fans that these were the characters they should like. In my view, Wallace’s article completely misses the point about who Han Solo is at his core compared to, say, Boba Fett, but I’ll just leave that dog lying for another day. I will offer this, though: Star Wars is built on the foundation of its heroes and villains, and the fringe characters fill in the rest of the canvas to create a dense rich picture. Ultimately, somewhere along the line the publishing side became risk-averse to trying to create and maintain the truly iconic heroes and truly despicable villains that made Star Wars successful in the first place. Which brings me back around to Crosscurrent. Kemp actually does some nice things with his writing, and his characters Khedryn and Marr shine despite being second-tier in the story. It’s those two heroic characters I enjoyed the most in the book, not the anti-heroes or the anti-villains, and there was far too little of that pair. Deceived shows that Kemp can effectively write male and female characters interacting; but again, it’s a book more about Sith than heroes. 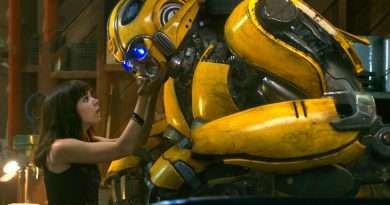 In an interview, Kemp noted that he received more freedom on Riptide from the editing team. Kemp also remarked that he had been signed for two more books without a story premise decided upon. That is the exact dynamic I have specifically criticized in the past – no overall vision for the books, just a bunch of authors who are familiar to the in-house team pitching stories they’d like to write and getting to tell them. The analogy has been used by several Star Wars authors that franchise writers are mercenaries. Oddly enough, then, the impression given to fans recently is that they aren’t being told where to aim and shoot. In fact, there was so much friendly fire in the time travel discussions, in Karpyshyn’s response to feedback on Revan, and elsewhere recently that sometimes it felt like prospective and existing customers have had to duck for cover. Unlike the recent Umbara episode of The Clone Wars, where the friendly fire was due to malicious design of a Jedi gone off the rails, the problem with the EU books has been more about the lack of a good battle plan. I’ve got my fingers crossed that the planning session a couple of weeks ago in San Francisco helped to finally aim the mercenaries once again toward a common goal. ← Happy Cyber Monday 2011! I found it very ironic that LotF and FotJ were both billed as getting back to the space opera roots and wound up being these skinny, minimalist books. You keep making these posts, and it’s like you’ve reached into my subconscious and pulled out all the reasons I don’t read new EU novels anymore unless they’re written by Zahn. I define the moment Star Wars died as the point in the Dark Nest trilogy when Jacen Solo pulls out flow-walking as a plot device.